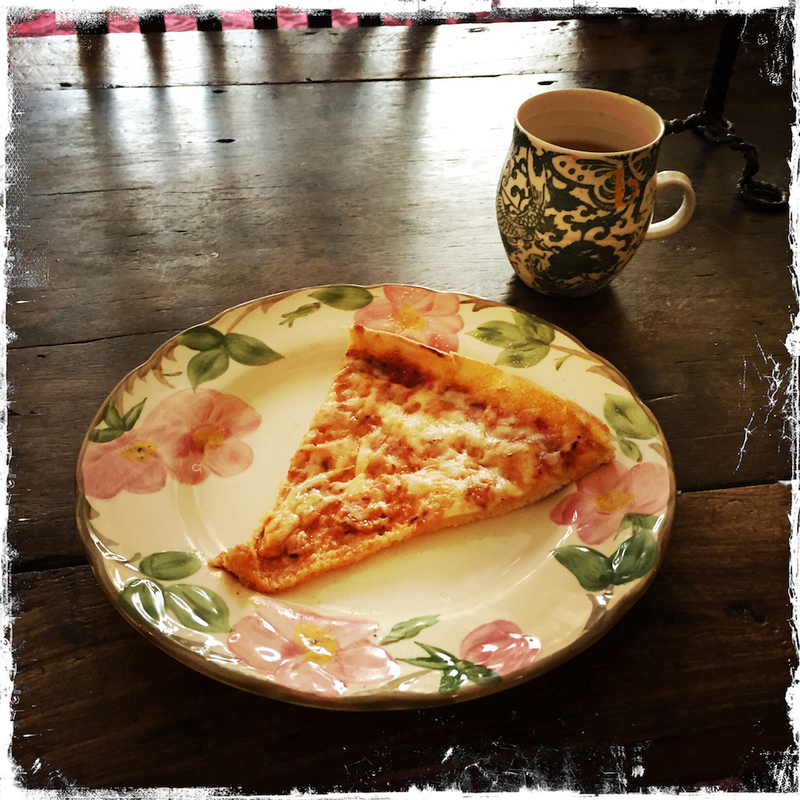 The other day I was watching a segment on CBS This Morning where the subject of childhood obesity and pizza was being discussed. Because of pizza’s prevalence in the American diet, especially with kids, a recent study was published in the journal Pediatrics which compared caloric intake, fat and sodium, when the pizza was consumed, the age of the child, etc. Dr. Tara Narula speculated on CBS This Morning that it was perhaps the type of unhealthy pizza that kids were eating that contributed to their weight gain (processed grains, stuffed crust, extra cheese, etc.) No doubt there is truth in this. Dr. Narula responded with another study that was done with mice (always the poor mice) that showed a variance in weight gain depending on the time frame in which they were allowed to eat. Some mice could eat whenever they wanted (they gained the most) and others were restricted to a specific time frame. She could only speculate, however, at the reason why this happened. “We think it may have something to do with genes being turned on during the time when you’re not eating.” Huh??? Eating supper like a pauper means a light evening meal (preferably between 5:00 p.m. and 6:00 p.m. Just enough to get us through until morning. A large supper will overtax the body, forcing it to digest a heavy meal and hinder its ability to heal, rejuvenate and burn excess fat. The moral of this story is that pizza (or any other unhealthy food vice) eaten at a noon meal will stand a much better chance of being properly digested than one that’s eaten in the evening. Keep this in mind and your body will thank you. I know all about pizza. I love it! Years ago on my way to work I would stop at Raimo’s Pizza down the block from my NYC apartment. I’m guessing this happened four or five times a week (I’m not kidding). I would get the first slice out of their brick oven at 10:00 a.m. when they opened. I was devastated when their landlord raised their rent and they had to close. The space stood empty for years, taunting me. I felt like my dealer had left town. Do I eat pizza four or five times a week now? Hell, no! But because I needed a picture of some pizza for this article, I went to get a slice for my lunch, which I ate at noon. 🙂 With a healthy salad. 🙂 Jersey City is a dangerous place for pizza-lovers. There’s pie on nearly every corner. Yum. Barbara Sinclair is a visual artist and holistic health practitioner with a passion for Ayurveda, the ancient mind/body system of healing that originated in India. Barbara was able to heal herself from years of fibromyalgia, a chronic pain condition, by learning and implementing ancient holistic practices. Barbara received her Ayurveda training from Wise Earth Ayurveda, the first school of Ayurveda teachings in the US. She is also a certified holistic health counselor (Institute for Integrative Nutrition) and certified energy healer (Deborah King Center).You can contact Barbara HERE for an Ayurvedic consultation or energy healing session. To receive her monthly newsletters as well as weekly practical Ayurvedic tips click HERE. To view Barbara’s articles, click HERE. In this free report, Everyday Ayurveda contributor Alexandra Epple delivers a 15-day quick start guide to abundant sustainable energy through Ayurveda. Alexandra Epple has done an awesome job with this report. Taking the vast knowledge of Ayurveda, and organizing it as it relates to building sustainable daily energy over a 15-day period. If you ever feel tired, fatigued, or your energy crashes in the afternoon, you need to read this. Download it now!